When arriving at the studio in the afternoon of our dinner event, one of the largest boxes I had ever seen was waiting for us. 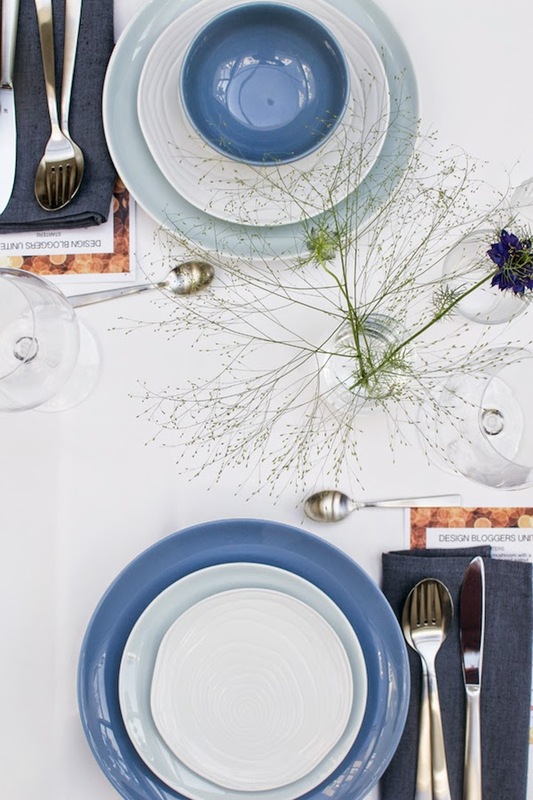 The box was filled with tableware by Pillivuyt, and contained different plates and bowls in beautiful blue and white tones. 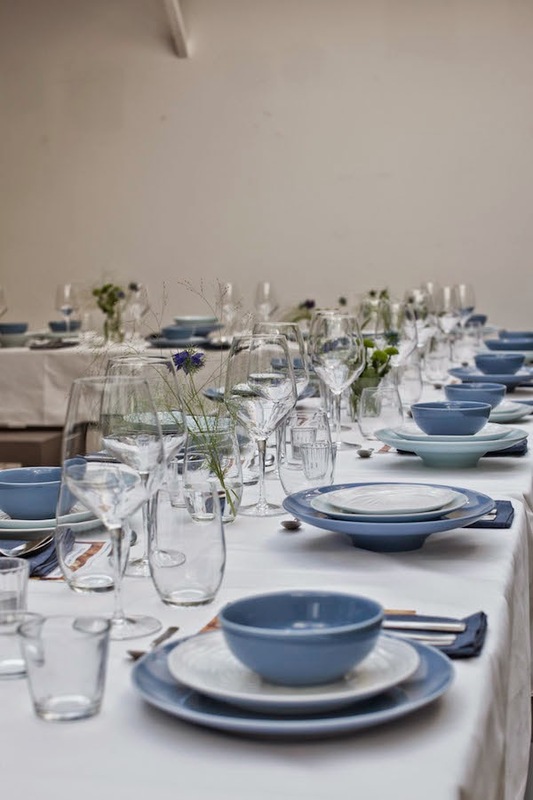 I was really happy their Scandinavian agent Thuesen Jensen provided us with this tableware that perfectly fitted the soft industrial feeling of the Studio. 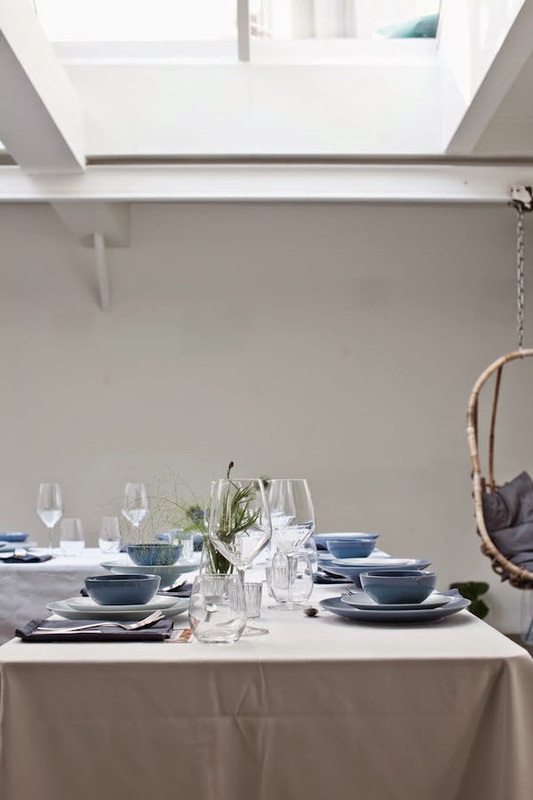 We had a small lunch provided by Bar Moustache and when seeing the several stacks of bowls and plates on the wooden table I suddenly felt like being back in the south of French during one of my holidays. Together we unpacked everything, styled the table with all the different plates and went out to buy some flowers to decorate the table... I think it looked amazing.